This avoidance of any mention of the Muslim identity and inspiration of various terrorists who have assaulted non-Muslims, including the United States, has been a worrying staple of President Obama. Presidential statements on the anniversaries of the 1983 killing of 242 U.S. servicemen in Lebanon by Hizballah or the 1979 seizure of the U.S. embassy in Tehran, both failed to mention the perpetrators of these acts. The U.S. report on the Fort Hood massacre of 13 U.S. soldiers by Islamist killer, Dr. Nidal Hassan, the was no reference to either Hassans Muslim identity or his adherence to jihadist doctrine. Indeed, the Obama Administrations Strategic Implementation Plan For Empowering Local Partners to Prevent Violent Extremism in the United States, released December 8, does not mention Islam, whose texts are often used to provide the impetus and rationale that spur terror strikes by Muslims. 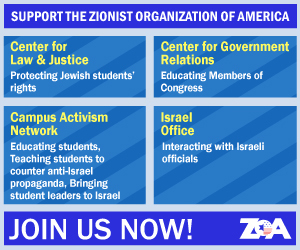 ZOA National President Morton A. Klein said, It is deeply worrying that President Obama systematically avoids identifying the perpetrators of terrorist attacks whenever they are Muslims. The argument that all Muslims will be tarred by referring to the terrorists Muslim identity is specious. No-one ever said that Irish Catholics as a whole would be unfairly tarred with extremism if a presidential statement mentioned that Catholic IRA terrorists carried out a specific terrorist assault. Opinion: Obama’s Egypt Response: Is He Ignoring Islamist Danger?